Saturday 13th January 2018. 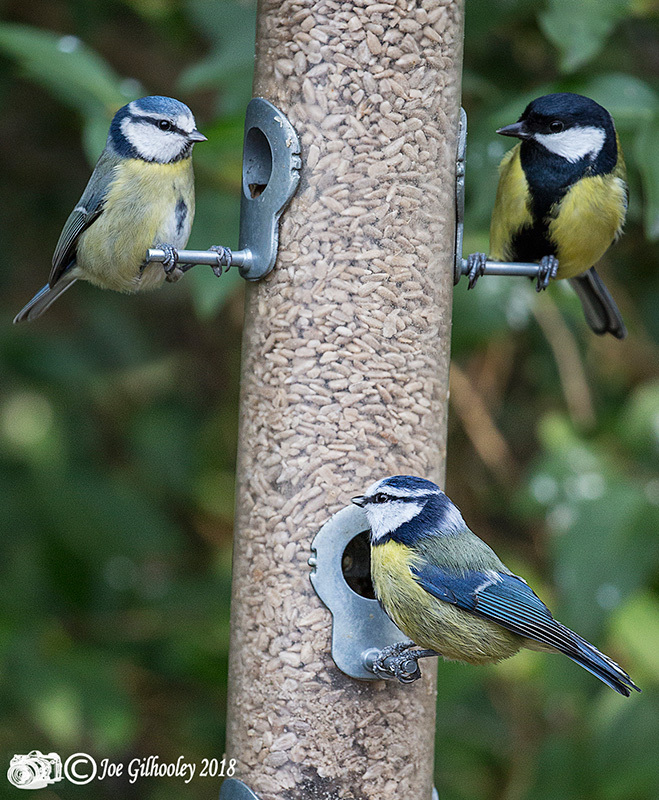 We have a wide range of wild birds visiting feeders in our garden. Our regular pair of bullfinches have been joined by other males and females. 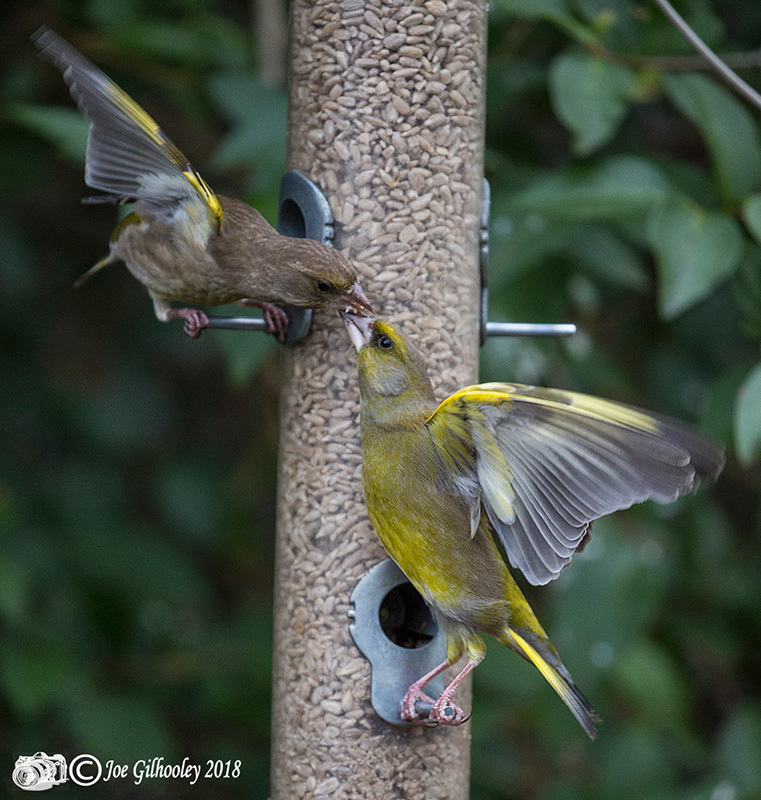 Also about a dozen goldfinches are regulars. Today I was hoping the Woodpacker would return. Not to be. 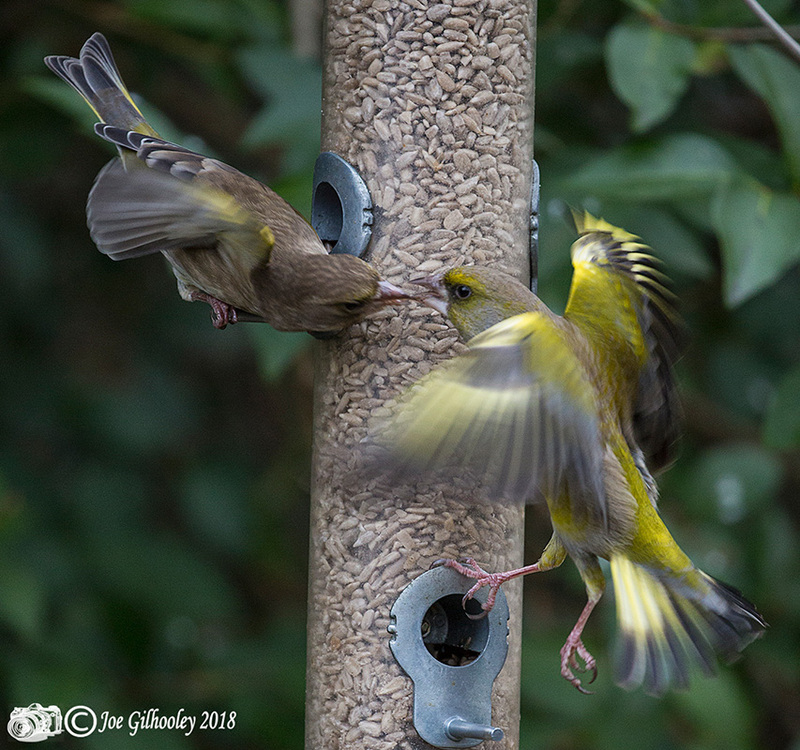 Whilst waiting I captured bluetits, coaltit and fighting Green Finches.